Instead of a run or workout yesterday, we took the kids to the Living Planet Aquarium for family night. They do $5 off/ticket deals on Monday nights so we took advantage of that. It was so worth it and so much fun to watch the kids get so excited about different sea creatures. At first, V was not happy about the situation. 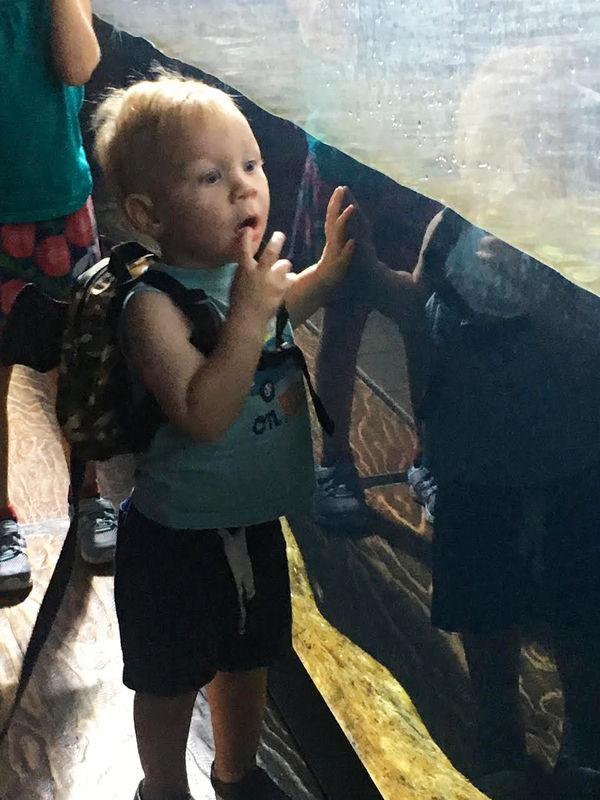 He was standing, watching all the animals and just figuring out that the glass was separating him and them, and then a fish snuck up on him and he turned face to face with it and started screaming at it haha. It took him a couple more minutes to be ok with things again. The big favorite by far was the penguins and the river otters. One of the penguins decided to show off some tricks for us while we were watching and V was really wowed by this. The girls squealed and laughed, which a childless couple later thanked us for letting them be a part of that. I was really impressed with how fast those little penguins can move! One of the otters also decided to do a little swim show for us before cuddling up to the other otters for a nap. M loved that she was allowed to touch some of the animals. 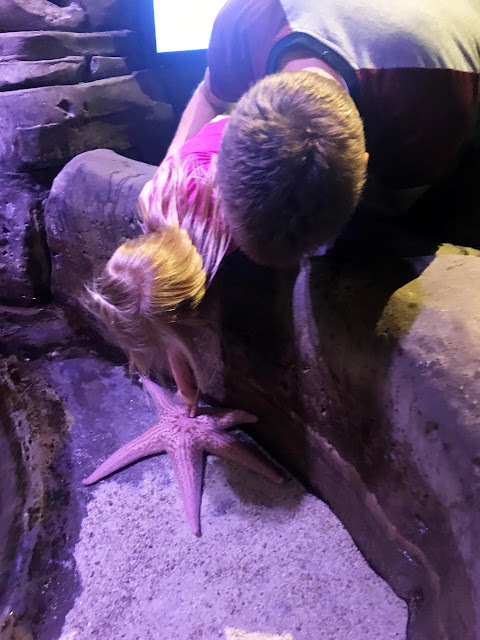 She touched a starfish and a baby shark. We tried to touch a stingray but it was too far away for us to reach. J didn't love this idea so much and decided to just look at the animals. She was most excited about the penguins and the sharks (my phone ran out of space when we got to the sharks so I didn't get any pictures...I need to look into a new phone). They had a lot of friendly workers there to help monitor the touching tanks and teach you how to touch the sea creatures without hurting them. They also answered a lot of interesting questions that everyone had. I asked one guy in they ever have a problem keeping the ducks in the ponds and he said "All the time. 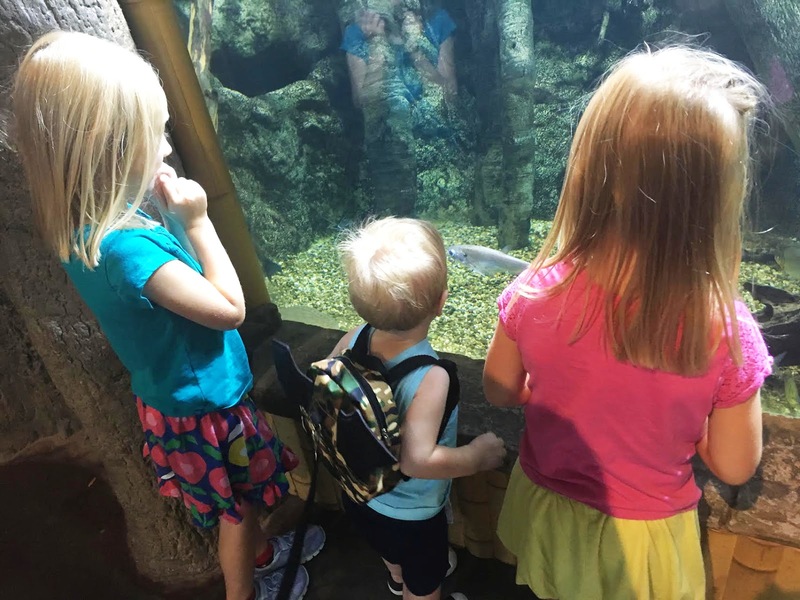 They like to wander around all the exhibits, especially after we close." I thought that was kind of funny and it reminded me a little bit of Night at the Museum. I couldn't help but picture the ducks wandering around and acting like they were in charge or checking out all the other sea creatures in the aquarium. As you can see, the lighting there is fantastic for pictures...I didn't even think to take my real camera until I was looking at the pictures when I got home. This is something I should probably work on. Then again, it's not so much about getting amazing pictures as much as it is watching the kids enjoy themselves. One of those "be in the moment" things. It's something I battle myself on more than I probably should. I always question myself, when I'm taking pictures, if I'm being part of the moment or if I'm just taking pictures of the moment. 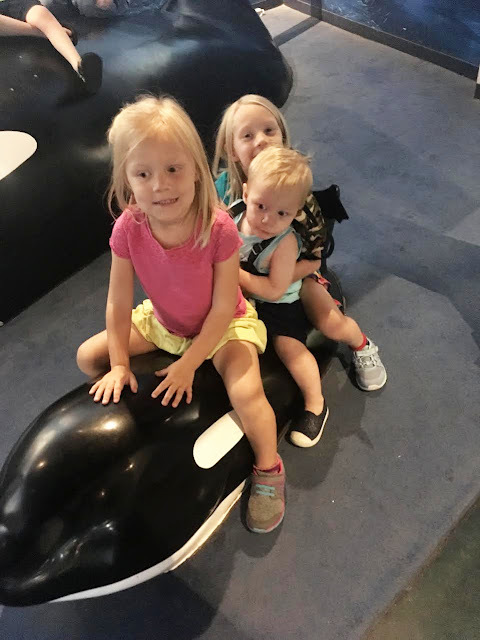 Either way, these pictures don't live up to how cool everything is there, and if you live in Utah, you need to make your way over to the Living Planet Aquarium and spend some time. I suggest Monday nights because it wasn't crowded AT ALL and it was cheaper than a regular day ticket. Are you good at the "be in the moment" balance?